Certain gifts are more appropriate than others for traditional Chinese weddings. A vital part of Chinese culture, weddings are seen as the ritualistic joining of two families, and gift-giving is a long-honored tradition that survives to this day. Gifts should be given in even numbers, as the gesture means "good things double" in Chinese culture. Also, tradition states that wedding gifts should be given over time leading up to the ceremony to show reverence to the bride and groom's parents and ancestors, as well as encourage wealth, fertility and luck. In formal Chinese wedding culture, the groom's family bestows gifts upon the bride's family in the days leading up to the wedding ceremony. Known as "Guo Da Li," or the Grand Gifts, these wedding presents are meant to offer respect and wishes of prosperity and fertility to the bride and her family. Traditional Guo Da Li gifts include tea, money, jewelry, dragon-phoenix cakes, wine, and fresh or dried fruit and meats. If you're going to be a guest at a Chinese wedding, there are certain traditional gifts that will hold greater meaning to the bride and groom than modern trinkets. Money has been the gift of choice at Chinese weddings for centuries, placed in lucky red envelopes or packets and given in even increments, as odd numbers are considered ill omens. A "shuang shi," the Chinese character for double happiness, written in calligraphy or carved into wood is a great way to bestow wishes of good luck and happiness upon a newly-married couple in a traditional way. Fish are considered a symbol of fertility and good luck, so gifts featuring a fish motif, fish figurines or dried fish would be appropriate. In traditional Chinese weddings, it is customary for the newly wedded couple to bestow gifts upon their ceremonial guests. 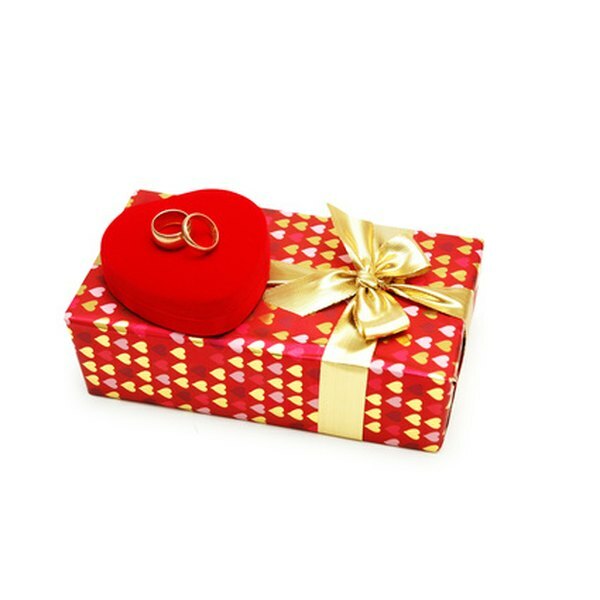 Usually small trinkets meant to be enjoyed by guests, gifts are given by the married couple to thank everyone in attendance for their well wishes and support on their wedding day. Appropriate wedding favors from Chinese brides and grooms include porcelain tea cups, sake sets, potpourri, herbs, candy, mints and flowers. Melissa Sherrard acquired her Bachelor of Science in public relations from the University of Florida in 2007 and has been writing professionally ever since. 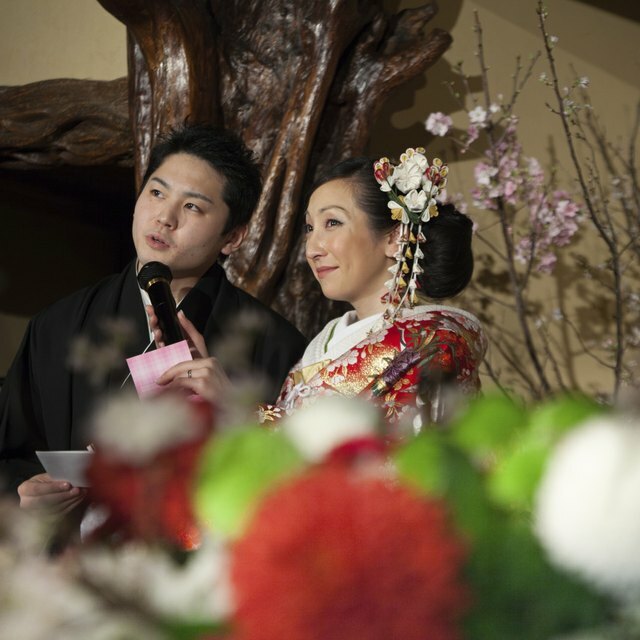 She also has extensive hands-on experience planning weddings and other private functions. She has created original print materials including announcements, invitations and programs for weddings, corporate events and private functions.